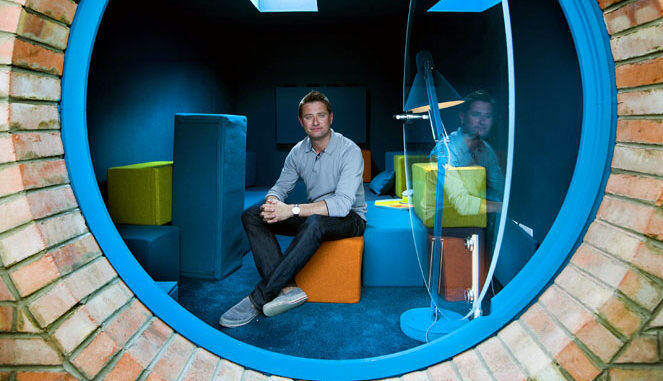 Teesside University is launching a suite of ground-breaking new courses in partnership with renowned and respected TV architect George Clarke, through his Ministry of Building Innovation (MOBI) initiative. It is both George and MOBI’s mission to kick start a fundamental change to the building industry, attracting new generations into the profession. In partnership with Teesside University it has developed a suite of multi-disciplinary courses at all levels to attract new and innovative ideas and people into the building industry. Clarke said: “MOBI is about training, retraining, making, building and creating innovative 21st Century homes that genuinely improve the way people live. “We need to teach the new generation of students how to think differently to challenge the norm and look for new ways of doing things. “The slow and antiquated method of building new homes is painful and, fundamentally, we still build homes the way we did hundreds of years ago. Whilst technology corporations, telecommunication companies, the automotive and aerospace industry are advancing at incredible rates, the house building industry is stagnant and it’s genuinely time for systematic change. Teesside University has developed a suite of courses in Advanced Home Construction starting with a Higher National Certificate and Diploma, an undergraduate degree programme, BSc (Hons) Advanced Home Construction (top up) and a postgraduate degree course – MSc Advanced Home Futures. The courses take a new look at the building industry and offer a broad-based practical approach which aims to attract learners from different disciplines, not just traditional architecture and enable students to explore a variety of specialisms, allowing them to challenge the status quo. Students will engage with industry and explore the concept of home, different aspects of living spaces, digital solutions to create innovative approaches to address the issues of the built environment. Professor Jane Turner Pro Vice-Chancellor (Enterprise and Business Engagement), said: “Here at Teesside University we are continuously seeking opportunities to work with partners who have exciting and innovative visions for the future, requiring access to our research expertise. “This is therefore a perfect opportunity to work with George and industry partners to provide a unique suite of academic programmes that bring together multi-disciplinary perspectives to drive new ways of thinking and action. The government set a target of one million new homes to be built by the end of 2020 but it has been widely reported in the national media that this is unlikely to be met. Shelter, the housing and homelessness charity, are calling for urgent reform to stem the rising levels of homelessness in England which they say stand at more than 50,000 families a year. The courses will offer the added advantage of working closely with industry and with some of Teesside University’s specialist facilities including Middlesbrough Institute of Modern Art which is looking at social issues such as housing, MOBI-Lise, a dedicated workshop on campus to allow students to make and test items and RIBA, the Royal Institute of British Architects which will give access to their online library resources.